In Cam we have two War Memorials - one is in the centre next to St Bartholomew's church and the other is in front of Cam Hopton School on Hopton Road. Cam Parish Council is responsible for their upkeep. This is sometimes aided by grant funding. Historic England's guidance describes current best practice on the understanding, assessment, planning and implementation of conservation work to memorials as well as their ongoing maintenance and protection. It also outlines the legal frameworks and statutory duties that relate to their ownership and care. 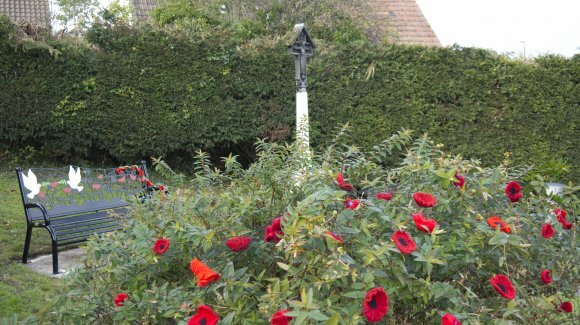 Volunteers directed by Cam Parish Council Project Officer, Jo Lewis, have put in many hours improving the gardens and the area around War Memorial at St Bartholomew's. 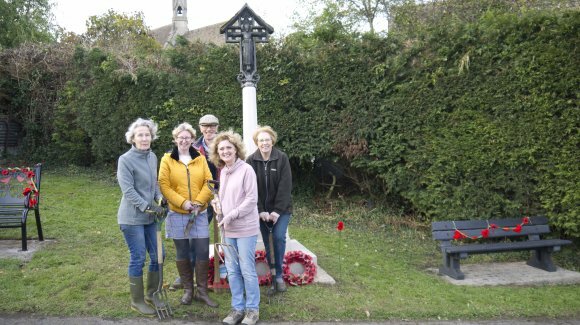 Both of Cam's war memorials have undergone cleaning this year (2018) and the project to improve them is on going. For more information please contact, the project's officer, Jo Lewis, at Cam Parish Office. HTML5 validated. WCAG compliant. Page generated in 0.4286 seconds.